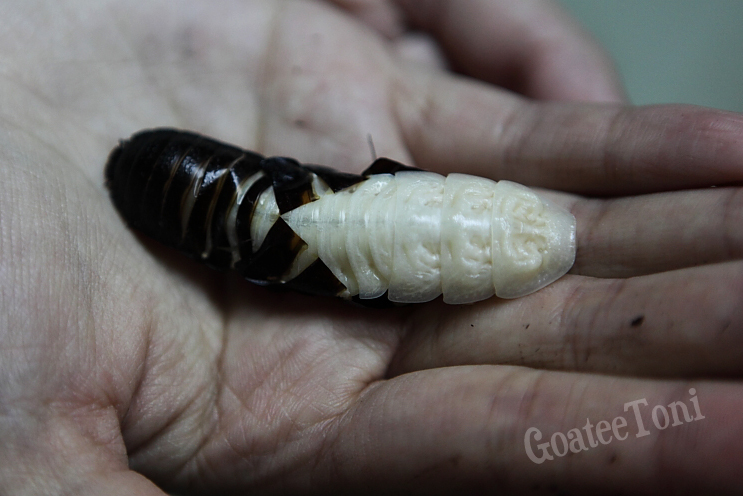 Ok so this is one of our Madagascan hissing cockroaches (Gromphadorhina portentosa). I just found her about to molt. For first time viewers it’s reasonable you have no clue what the ivory white bug with jet black eyes is. 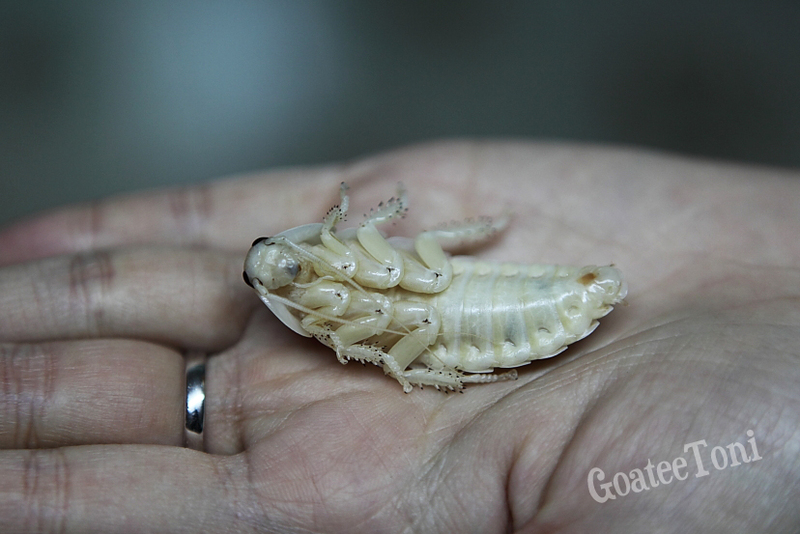 They look strange when they have become white because being dark seems to be typical of roaches. A lil bit facts of this big bug. 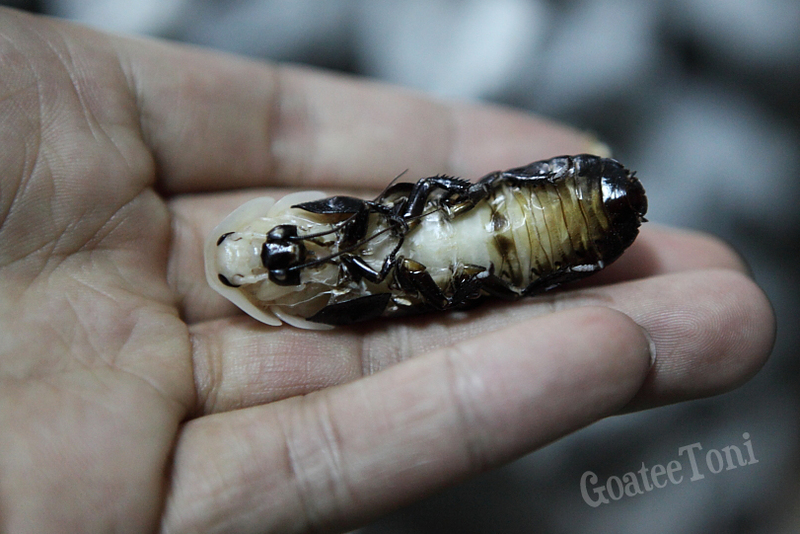 The hisser is native to Madagascan rainforests and is one of the world’s largest cockroaches. 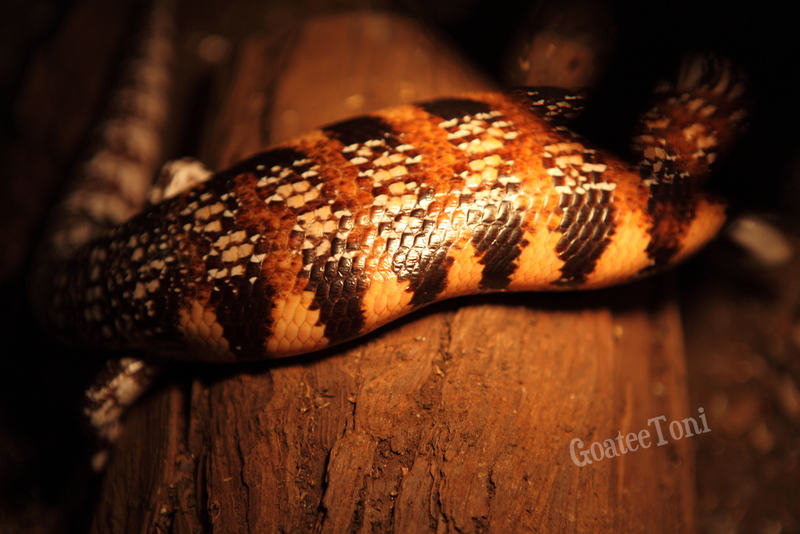 There are a few species that are bigger but the hisser is obviously more well-known than those. I have often found groups of them under logs in the past trips. They would hiss at the beginning of disturbance, but soon would stop hissing and run instead. These gentle giants would not attack no matter how bad they are disturbed. Yeah they are cockroaches, but are so different from the house ones. The Malagasies are naturally clean. Actually they won’t survive in dirty environment. They are relatively slow moving and wingless, means they cannot fly. 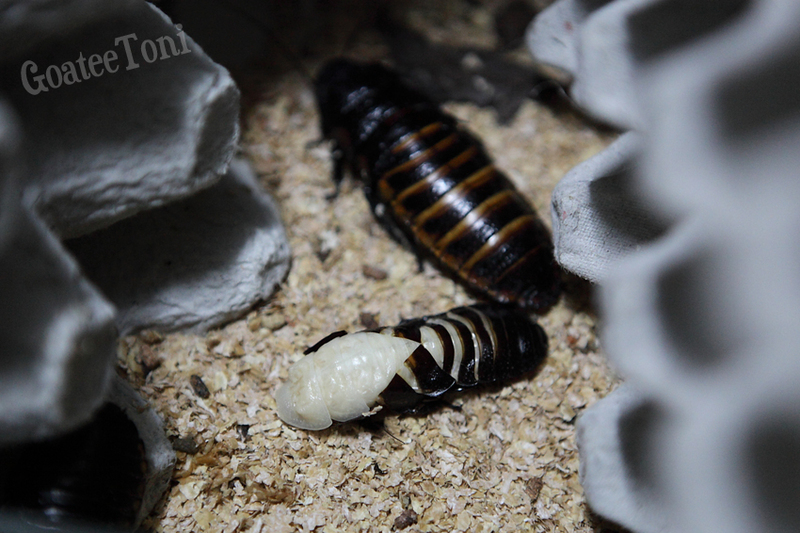 Every time they molt they go on a new stage of life. They will molt totally 6 times in their life. 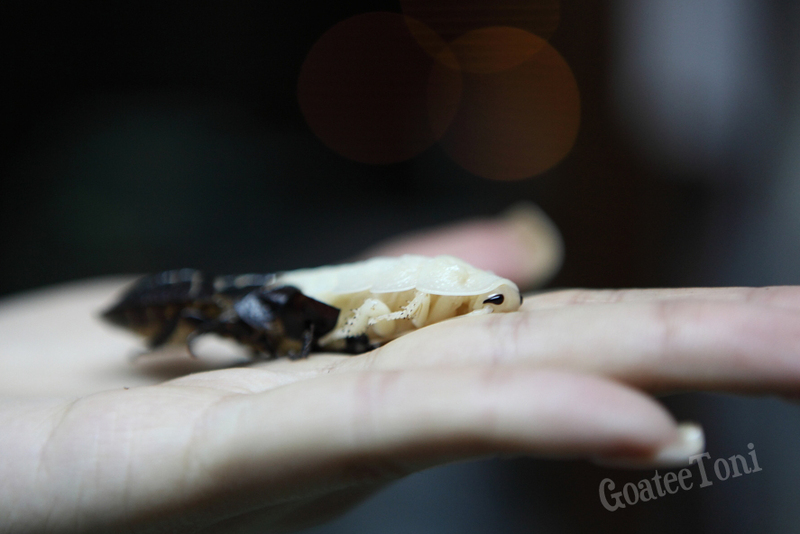 Freshly molted hissers are soft and ivory white. Without the protection of their shed exoskeleton, they would only choose to molt in the middle of the night in somewhere secretive. The body will be hardened and turn dark again quickly. I’ve spent some time watching her shed entirely. I can’t remember how many times I have seen this but every single time it interests me in a different way. This time it happened right before new year. 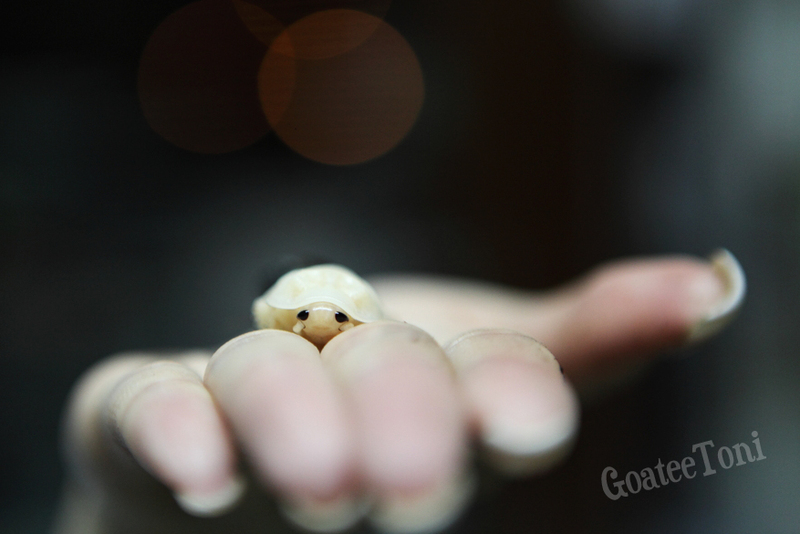 Obviously this cute hisser girl wants a brand new life in 2011. By understanding these little critters you will be inspired in some way you’ve never expected. If people can shed like these cold blooded critters, we will be more open-minded and our society will be more positive. Regeneration is the word. 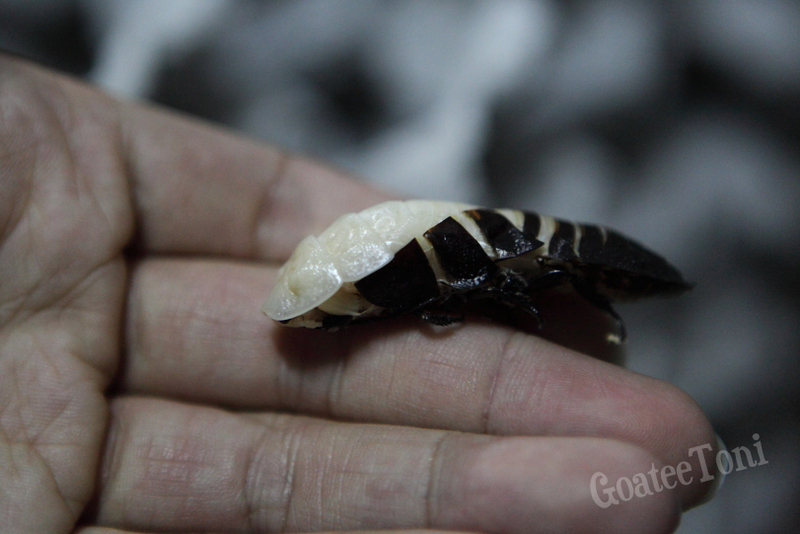 You can now learn from a cockroach how to live a brand new life in 2011. Thanks for global warming, this year it is especially cold. It has got to as low as 1°C outside, means 34°F. I feel like I am still in the big apple, but it is Hong Kong. Most of our animal buddies here are the tropical ones. Obviously they have to stay inside with heating. 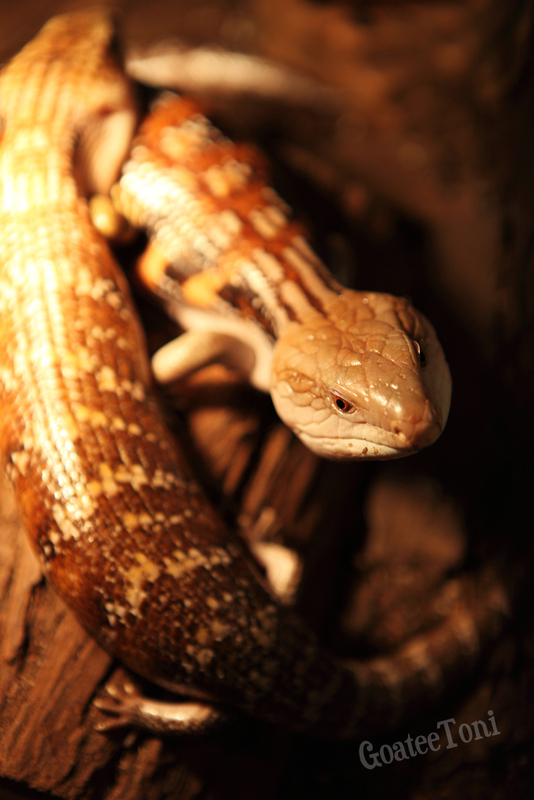 Look how our Australian Blue Tongue Skinks enjoy the basking. During it’s 1°C outside, it’s 24°C inside, and right under the heating spot it can get to as much as 35°C. These are 2 of our blue tongues, both boys – uncle and nephew. The uncle was a bit overweight in the summer. After months of better diet he has got back his shape!! Look at his lovely waist. Blue tongues are omnivorous, very much, so most of em in captivity have got too chubby. It looks cute being fat but obesity harms health for the long run (just like people!) so we are happy to see him back in his juvenile shape.